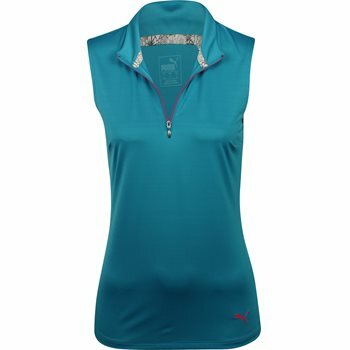 Get ready for the heat in the Sleeveless Mock polo by Puma. The sleeveless design; lightweight breathable fabric; and dryCell moisture wicking will keep the skin dry when the temperatures are high. The stretch fabric will provide a comfortable fit and allow movement with ease. The polyester make up will offer durability for machine washing and resistance against shrinking, mildew and wrinkles.